Posted on 08/02/2017 at 9:45 am. HAIFA, February 8, 2017 (WAFA) – Two rights organizations said Wednesday that they are set to file a petition with the Israeli High Court against Israel’s new regularization law, which allows the state to expropriate private Palestinian lands in the West Bank for the purposes of settlement construction. 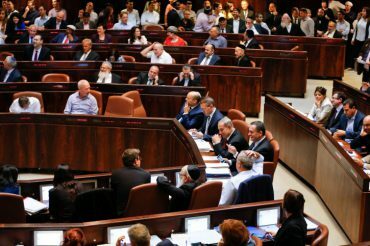 The Israeli parliament, the Knesset, passed the regularization law on Monday. Its passage drew strong Palestinian, Arab and international condemnation. A statement by Adalah – The Legal Center for Arab Minority Rights in Israel and the Jerusalem Legal Aid and Human Rights Center (JLAC) said in a statement that attorneys Suhad Bishara and Myssana Morany will formally file the petition on Wednesday which will include aerial photographs of 16 settlements overlaid with the borders of the West Bank Palestinian local councils within which they are situated. Adalah and JLAC are representing Palestinian local councils in the West Bank upon whose lands Israeli settlements have been constructed. Attorney Bishara also emphasized that the regularization or validation law constitutes a violation of international law and the most recent United Nations Security Council resolution against the settlements. “The primary aim of this law is to ‘validate’ more illegal settlements in the West Bank. These political considerations directly contradict the UN Security Council Resolution passed on 23 December 2016, which re-confirmed the illegality of Israeli settlements,” she said, adding, “Further, the transfer of the occupying power’s civilian population into occupied territory is a war crime, according to the Rome Statute of the International Criminal Court. Moreover, the application of this Israeli law on the OPT is a violation of international law. Posted on 19/01/2017 at 10:45 am. BETHLEHEM, January 18, 2017 (WAFA) – President Mahmoud Abbas Wednesday reiterated his commitment to peace saying this year might be the last chance to achieve the two-state solution. In a joint press conference with his Polish counterpart Andrzej Duda in Bethlehem, Abbas called on world countries that are yet to recognize the State of Palestine, to take the same path as the 138 countries which already did, the last of which was the Vatican. He renewed support to regional and international efforts and initiatives to support the resumption of peace talks, namely the French initiative and Russian President Vladimir Putin’s invitation to hold a trilateral meeting with Israeli Prime Minister Benjamin Netanyahu in Moscow. Abbas also called on US president-elect Donald Trump to work to make peace in the region and expressed willingness to join efforts to accomplish this goal. The two presidents discussed the latest efforts to support peace in the region; in particular the results of the International Peace conference held by France on January 15 in Paris to jump start the peace talks between the Palestinians and Israelis. Abbas said it is necessary to build on its achievements and form an international mechanism to keep up with any political process, a timeframe conforming to international law, the Arab Peace initiative and United Nations Security Council Resolution No. 2334, the Paris statement, the two-state solution on the borders of 1967. In response to press questions, Abbas said that he heard about Trump’s statements about moving the US embassy from Tel Aviv to Jerusalem, but have not been informed officially. He said the decision will affect the negotiations and resembles the illegal decisions by the Israeli government to annex East Jerusalem, a land occupied in 1967 and is the capital of the State of Palestine. While Abbas said it is wise to wait until Trump officially begins his duties as president, he called on him not to move the embassy saying Palestinians will have a political and diplomatic response should such move is carried out. He also expressed optimism concerning Trump’s interest to reach a solution for the Palestinians- Israeli conflict. Posted on 17/01/2017 at 11:43 am. 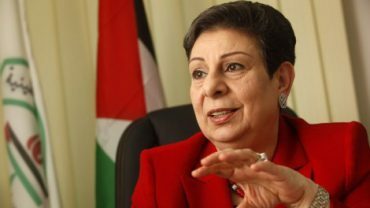 RAMALLAH, January 17, 2017 (WAFA) – Hanan Ashrawi, member of Executive Committee of the Palestine Liberation Organization (PLO), said on Tuesday that the declaration issued at the conclusion of the international peace conference held on Sunday in Paris was watered down. While thanking France for organizing the peace conference of foreign ministers and diplomats from 70 countries and five international organizations that put “the Palestinian issue back on the global agenda;” and also acknowledging the participants “for their commitment to international law and to the two-state solution,” Ashrawi nevertheless said that Israel and its proxies have managed to water down the declaration. Ashrawi went to say: “The Declaration further creates a false symmetry between the belligerent occupier and a vulnerable nation under occupation by allocating equal blame to ‘both sides.’ Israel as the powerful party which is responsible for violations of international law and human rights must be held to account, and its violations must be curbed. By repeatedly blaming the Palestinians for “incitement” and using the label of “all acts of violence and terror,” the Declaration creates a misleading equivalence and a stereotypical smear. “It is unfortunate that the relevant UN Security Council resolutions are ‘to be recalled’ rather than forming the basis for resolving all permanent status issues. As a coherent body of law, these resolutions must be the essence of the operative portions of the Declaration and the search for a solution. In addition, UNSC resolution 2334 should be a firm foundation on which to base the quest for peace, and must not be equated with the July 1, 2016 recommendations of the Quartet which were not accepted by the Palestinian people nor with the U.S. Secretary of State’s Principles of December 28, 2016 which echo Israeli priorities and diction. “In addition, the problem does not lie in the lack of incentives for the parties or in normalization between their civil societies; rather the real impediment has been Israel’s impunity and its refusal to comply with international law and with the will of the international community. All the generous rewards, positive inducements and legal protection it has received from Europe and the U.S. have not brought it to compliance; what is needed is real accountability for Israel. The Participants would do better to hold Israel to account and to send a real message that there is a price to be paid for its violations rather than dangling further rewards down the line. “Absent effective follow-up mechanisms with the responsibilities of arbitration, monitoring and evaluation, and concrete engagement, the outcome of the Conference becomes just another verbal exercise. The one-year framework within which to meet again mainly provides Israel with ample time to continue to create its unilateral facts on the ground and to destroy the declared objectives of this exercise which is the two-state solution. Again, “negotiations” are not an objective but a means to an end, and it would be wise to draw the proper conclusions from the lessons learned after twenty-six years of bilateral negotiations that have merely entrenched the occupation and placed the two-state solution in serious jeopardy. “The Palestinian side has repeatedly declared its commitment to a peaceful settlement defined as the two-state solution on the 1967 borders with East Jerusalem as the capital of the Palestinian state, and all permanent status issues being resolved on the basis of international law and international humanitarian law. We have cooperated with the international community to bring that about and to fulfill our obligations as per the agreements. Unfortunately, Israel has willfully reneged on its commitments, violated the agreements and repeatedly breached international law. Simply stated, these are the real issues, and they must not be circumvented. “We regret the unfortunate stance of the British and Australian governments, as well as the UK going so far as to prevent the EU Foreign Affairs Council from adopting the Declaration. Instead of rectifying its historical responsibility for the tragedy of Palestine, the UK is compounding its culpability by undermining initiatives, however modest, that try to bring about a two-state solution. This is further cause for alarm given the rise of populism in the U.S. and in Europe and the strident declarations concerning the annexation of Jerusalem and illegal settlements in Palestine. Such common language between the new governments in the U.S. and the UK does not bode well for peace at all and undermines the stability and security of an already volatile region. Posted on 17/01/2017 at 11:24 am. RAMALLAH, January 17, 2017 (WAFA) – The news about a Palestinian teenager shot and killed by Israeli forces during clashes in a village near Bethlehem hit the front page of the three main Palestinian Arabic dailies on Tuesday. The dailies said Israeli forces shot dead Qusai al-Imour, 17, during intense clashes in Taqou, northeast of Bethlehem, in the occupied West Bank. Al-Ayyam and al-Hayat al-Jadida reported that while a Palestinian was killed during the clashes, five others, including a woman, were also injured. It said that Israeli soldiers arrested Imour while injured and left him to bleed to death after banning Red Crescent ambulances from reaching him. Al-Quds said while clashes were happening in Bethlehem, Israeli forces uprooted on Monday hundreds of olive trees in the city of Qalqilya under the pretext of opening a road for settlers living in the illegal settlements in the occupied West Bank. Al-Ayyam reported that 2,000 olive trees were going to be uprooted and that the area where the uprooting took place was declared a closed military area. On a different subject, Prime Minister Rami Hamdallah’s statements about the energy crisis in Gaza were also reported in the three dailies. Al-Ayyam said that Hamdallah, during a press conference held at the Energy and Natural Resources Authority in Ramallah, demanded Hamas to hand over the energy authority in Gaza to the national unity government in order to be able to solve the ongoing energy crises. It also said that Hamas is ready to hand over all of its authorities under conditions. It also said that electricity in Gaza is back to the 8-hour schedule after fuel was allowed into Gaza. Al-Hayat al-Jadida reported Hamdallah also said that Hamas does not allow the government to run the Gaza Strip. He also said that Hamas continues to rule in Gaza while the conciliation government is supposed to be responsible for only civilian needs is unthinkable. Hamdallah was also reported in al-Quds calling on Hamas to allow the conciliation government to rule over Gaza so it can do its tasks. Al-Ayyam said residents of Silwad, a town near Ramallah, are opposed to Israeli plans to break down their land in order to allocate an area to move the illegal settlement outpost, Amona, to it. It also said Russian Foreign Minister Serge Lavrov had met with representatives of Palestinian factions attending a conference in Moscow. This story was also reported in al-Quds on its front page. Al-Hayat al-Jadida and al-Ayyam reported a statement by the president’s spokesman, Nabil Abu Rudeineh, that the recent Palestinian achievements have proven once again that Israel’s policies have failed and that the next major political battle is over Jerusalem. Al-Ayyam reported that Abu Rudeineh said that Israel is isolated by the international community. Al-Quds said US President-elect Donald Trump told Britain that he will not make a position on the Palestinian issue without first coordinating with it. Posted on 17/01/2017 at 10:42 am. JERUSALEM, January 17, 2017 (WAFA) – Fearing that he would otherwise has to pay exorbitant amount of money, Firas Mahmoud proceeded on Tuesday to tear down his own house in the Arab East Jerusalem neighborhood of Issawiya after the Israeli municipality of West Jerusalem said it was going to demolish his house for building without a permit, according to local sources. 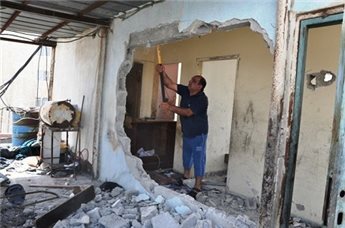 The municipality informed Mahmoud that it was going to raze his house and make him pay the astronomical costs unless he demolishes it himself. Palestinians, according to international and Israeli organizations, are forced to build on their property in East Jerusalem without permit because the Israeli municipality does not provide them with building permits in an effort to keep the Palestinian population in the occupied city to a minimum while increasing its Jewish population through building thousands of Israeli-only housing units in dozens of illegal settlements in and around the holy city. Posted on 17/01/2017 at 10:14 am. BETHLEHEM, January 17, 2017 (WAFA) – A video tape of Monday’s shooting incident in the village of Tuqou, near Bethlehem showed Israeli soldiers open fire to kill Qusai al-Imour, 17, and then drag him for 100 meters while seriously injured. The video was taken by photojournalist Hisham Abu Shaqra, who happened to be in Tuqou filming the confrontations that had erupted that day between village youths and soldiers who apparently provoked the clashes when they entered the village without any reason. The video shows soldiers aiming their guns at Imour when he was sitting under a tree and then shoot him. Imour, a high school student, was hit. Fellow youths ran toward him to help him but the soldiers, who also rushed toward him after they hit their prey, prevented the youths from reaching him. The video then shows the soldiers dragging Imour on the ground for around 100 meters, a scene reminiscent of when the soldiers shot Shaker Hassouneh, 21, in Hebron on January 12, 2001 and dragged him for a distance and many others, including one in Ramallah in late 2015. Imour, who was still alive when the soldiers grabbed him, died shortly after. The Palestinian Ministry of Health said he was hit by three bullets to the chest. The soldiers were not satisfied with shooting Imour and killing him in cold blood, they even opened fire at Palestinians who tried to free him from the soldiers’ hands injuring four, one of them an elderly woman. Posted on 16/01/2017 at 2:04 pm. RAMALLAH, January 16, 2017 (WAFA) – News about the peace conference that was held in Paris on Sunday hit the front pages headlines of the three Palestinian dailies on Monday. The dailies said that the conference affirmed that the two-state solution is the only possible way to achieve peace between Palestinians and Israelis. Al-Quds said President Mahmoud Abbas said that the Palestinian side is ready to resume negotiations within a specific timeline, while al-Ayyam said that Abbas welcomed the outcomes of the conference and said it affirmed international terms of reference and called for applying its terms. Al-Hayat al-Jadida reported that Abbas referred to the importance of applying Security Council resolution 2334, which condemned Israeli settlement in the occupied territories of the West Bank and East Jerusalem. It said that Abbas called on the countries that haven’t recognized the state of Palestine, to recognize it officially. It also said that Abbas will go to France to meet French President Francois Hollande in order to discuss ways to peacemaking. The three dailies added that the French foreign minister, Jean-Marc Ayrault, warned against US President-elect Donald Trump’s intention of moving the US embassy from Tel Aviv to Jerusalem. According to al-Ayyam, Ayrault said that moving the embassy would have dangerous consequences. Similarly, al-Hayat al-Jadida said that Ayrault stated that moving the embassy would be an act of provocation and that it is always beneficial to keep in mind the 1967 borders and the UN resolutions. Al-Quds and al-Ayyam reported that Hollande said that the solution to the Palestinian case should be a priority to the international community and that any settlement should not be imposed on either Palestinians or Israelis. US Secretary of State John Kerry was reported in al-Quds as stating that he made sure the statement of the Paris conference was fair to Israel. Kerry also praised France for hosting the conference whose final statement supported the two-state solution for the Palestinian-Israeli conflict, according to al-Ayyam. Al-Quds and al-Ayyam both said that the United Kingdom expressed reservations toward the conference statement and refused to sign it. On a totally different subject, the dailies reported as well on the electricity crisis in Gaza quoting Prime Minister Rami Hamdallah criticizing smear campaigns against his government due to this crisis. The paper also said Palestine and Israel have agreed to revive their joint water committee. Al-Hayat al-Jadida said Israel said it will demolish 81 homes in the Arab Jabal al-Mukabber neighborhood of East Jerusalem seen as a collective punishment after the truck ramming attack in the city last week by a neighborhood resident that left four Israeli soldiers dead. The papers also reported on the meetings for the Palestinian factions in Moscow to discuss local issues, including unity. Posted on 16/01/2017 at 2:02 pm. Munther Abu Ahmad, a PPS advocate, said that the military court found Adawi guilty of throwing stones while returning home from school. He was in the company of Jaber Adawi, 13, when they were both detained on January 11. Posted on 16/01/2017 at 12:13 pm. HEBRON, January 16, 2017 (WAFA) – Israeli forces detained on Sunday Palestinian journalist and former hunger striking prisoner Mohammad al-Qeeq, according to local and security sources. Security sources told WAFA that Qeeq, 33, a Palestinian journalist from Dora, Hebron, was detained while as he was trying to leave Ramallah through the Beit El military checkpoint, north of Ramallah. No reason was given for the detention. Qeeq was detained in November 2015 and held in administrative detention without charge or trial. He spent 94 days on hunger strike to protest his administrative detention before reaching a deal with the Israeli authorities in February that ended his hunger strike. He was released in May. Posted on 16/01/2017 at 12:10 pm. RAMALLAH, January 16, 2017 (WAFA) –Nabil Abu Rudeineh, spokesman for President Mahmoud Abbas, said on Monday that recent Palestinian achievements have proven once again that Israel’s policies have failed and are isolated and that the Palestinian cause is just. Abu Rudeineh was referring to the international community’s unanimous rejection of Israel’s settlement activities in the occupied Palestinian territories while stressing the two-state solution that came in the December 23 United Nations Security Council resolution 2334, which condemned Israeli settlements, the of raising of Palestine’s flag at the Palestinian embassy in the Vatican, and lately the Paris peace conference, which emphasized the international resolutions as the base regarding the borders of the State of Palestine as well as East Jerusalem. “The next major political battle, which represents a challenge to the Arab world and the international community, is Jerusalem, which President Abbas has said is a red line not accepted by anyone and no one will be allowed to bargain on as part of a state with provisional borders, or through concessions that may endanger Palestinian and Arab national security,” he said. Posted on 16/01/2017 at 11:59 am. RAMALLAH, January 16, 2017 (WAFA) – Israeli forces detained at least 20 Palestinians, including a member of the Palestine Legislative Council, during predawn raids across the West Bank districts, local sources said on Monday. Israeli army reportedly detained 12 Palestinians in the Ramallah area, including Ahmad Mubarak, a member of the Palestine Legislative Council, and writer and poet Waleed al-Hodali, both from Jalazoun refugee camp. Israeli forces also detained eight other Palestinians from the rest of the occupied West Bank districts. Posted on 11/01/2017 at 10:15 am. HEBRON, January 11, 2017 (WAFA) – An Israeli bulldozer razed a road near the village of al-Boweib in Masafer Yatta, south of Hebron in the occupied West Bank, Rateb Jbour, coordinator of the local anti-settlement committee, said on Wednesday. 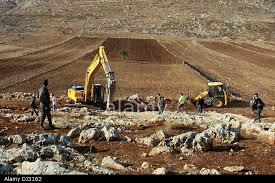 Israeli forces accompanied a bulldozer in razing a road that connects Masafer Yatta with Bani Na’im, he said. The road was rehabilitated by donors’ aid. He said the road is vital and links many communities in the south of Hebron. Posted on 11/01/2017 at 10:11 am. NAZARETH, January 11, 2016 (WAFA) – Arab towns inside Israel have declared a general strike on Wednesday to protest of the Israeli demolition of 11 homes in the Arab town of Qalansowa, in central Israel. The strike was called for by the Higher Arab Follow-up Committee, an independent political organization tasked with coordinating the political actions of various Israeli-Arab bodies. The committee called on all Palestinian sectors in Israel to observe a general strike to protest what it said was collective campaign of demolitions of Palestinian homes under the pretext they were built without a permit. According to Arab 48 website, all sectors in the Arab towns in Israel are partaking in the strike, including schools, local councils and municipalities, in addition to commercial stores and other public and private facilities. 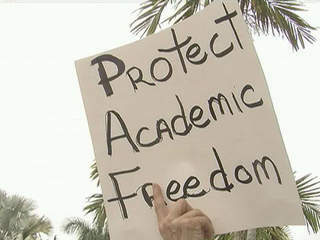 The strike however excludes healthcare services and private education institutions, the website said. The demolition of the Qalansowa homes came after Israeli Prime Minister Benjamin Netanyahu had called for demolition of Arab homes reportedly built without permit to avenge an Israeli High Court decision to demolish homes in the illegal Amona settlement built on private Palestinian land in the occupied West Bank. While the Amona homes are still in place two years after the court order and the Israeli government is still fighting the demolition and eviction order, it went ahead and demolished Arab homes in Qalansowa. The Arabs in Israel are expected to carry out further protest measures against the demolition of Arab homes. Posted on 11/01/2017 at 9:37 am. RAMALLAH, January 11, 2017 (WAFA) – The Israeli army killing of a Palestinian during a raid of Fara’a refugee camp in the northern West Bank district of Tubas hit the front page headlines in the Palestinian dailies on Wednesday. Al-Ayyam and al-Hayat al-Jadida said he was shot dead in front of his mother when the soldiers raided his home to reach a neighbor’s house. 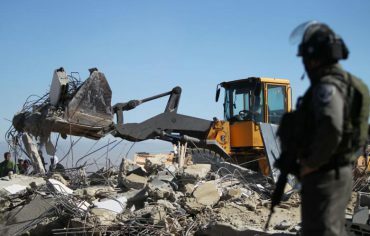 Highlighting demolitions in the West Bank, al-Quds said Israeli forces delivered demolition orders for several Palestinian structures across the West Bank. Al-Ayyam explained Israeli bulldozers destroyed a pipeline supplying water to 36 Palestinian families in the northern Jordan Valley. The 11-kilometer pipeline supplied water to the communities of al-Ras al-Ahmar, al-Hadidiya, Khirbet Makhul and Khirbet Humsa. It added Israeli forces delivered eviction orders for two Palestinian homes, north of Jericho, and stop-construction orders for water well and structure in the Bethlehem district town of al-Khader. The dailies added a general strike was proclaimed Wednesday in the Arab town of Qalansowa inside Israel to protest the demolition of 11 homes. Al-Quds and al-Ayyam said US President-elect Donald Trump still plans to move the US embassy in Israel from Tel Aviv to Jerusalem. Al-Quds reported senior Palestinian official Mohammad Shtayyeh as stating the Palestinian leadership would take “preventive measures” in order to prevent the decision from being implemented. Al-Ayyam and al-Hayat al-Jadida reported him as warning the Palestinian leadership would consider withdrawing recognition of Israel in response to the move, which he said would mean an “end to the two-state solution” and the termination of talks. Highlighting punitive Israeli measures against the family of Fadi Qunbar, who carried out the fatal truck attack in Jerusalem on Sunday, the dailies said Israeli authorities informed several members of the family that their Jerusalem residency status would be revoked and home demolished. The dailies said President Mahmoud Abbas has received an invitation to meet with his French counterpart, Francois Hollande, in Paris on January 15. Al-Hayat al-Jadida said Abbas would be received by Pope Francis at the Vatican prior to his trip to France for the international peace conference. Moreover, the dailies reported the meeting of the preparatory committee of the Palestinian National Council (PNC) was launched in Beirut with participation of representatives from all Palestinian factions, including Hamas and Islamic Jihad. The dailies said work is underway by the government to put an end to power cut and water shortage in the Gaza Strip. They said in another story that Israel has decided to break up Palestinian land in the West Bank town of Silwad in order to allocate an area as replacement for the illegal Amona settlement outpost. Al-Quds said Egypt has decided to ease the blockade on the Gaza Strip. Egypt and Israel are the two countries with land borders with Gaza. Al-Ayyam reported outgoing US President Barack Obama as stating Israeli settlements are making a future Palestinian state impossible. Posted on 10/01/2017 at 10:45 am. RAMALLAH, January 10, 2017 (WAFA) – The Foreign Ministry condemned on Tuesday in what it described as “cold blooded execution” of Mohammad Salhi, 32, by Israeli soldiers who raided his home in Fara’a refugee camp near Tubas. The ministry said Salhi was shot dead in front of his mother and left to bleed until his death. It described in a statement Salhi’s fatal shooting as “a brutal and despicable crime,” which comes following statement by Israeli officials and military orders that allow shooting and killing of unarmed Palestinian civilians. It called on all regional and international human rights organizations to immediately act to document this crime pending its referral to the International Criminal Court. Posted on 10/01/2017 at 10:14 am. RAMALLAH, January 10, 2017 (WAFA) – President Mahmoud Abbas’ letter to US President-elect Donald Trump urging him to abstain from moving the US embassy in Israel from Tel Aviv to Jerusalem hit the front page headlines in Palestinian local dailies on Tuesday. The three dailies said Abbas has urged Trump not move the US embassy from Tel Aviv to Jerusalem. Al-Hayat al-Jadida added Abbas sent letters to heads of states around the world, urging them to exert as much efforts as possible to prevent this move. Al-Quds added Abbas explained in his letter “the destructive effects” of such a move to the peace process, the two-state solution and regional stability. Al-Ayyam reported Palestinian Foreign Minister Riyad Malki stating the Palestinian leadership is taking proactive action following Trump’s plan to relocate the US embassy to Jerusalem. Al-Hayat al-Jadida reported secretary-general of PLO’s executive committee, Saeb Erekat, as stating in this regard the Palestinian leadership is poised to make critical decisions to face this dangerous phase. He was also reported as stating if Trump relocates the US embassy to Jerusalem, this would signal US recognition of Israel’s annexation of occupied East Jerusalem. While al-Hayat al-Jadida covered this letter in its main news item, al-Quds and al-Ayyam opted to highlight Israeli punitive measures against the al-Qunbar family after Fadi Qunbar had carried out a deadly truck attack against Israeli soldiers in Jerusalem killing four and wounding others. Al-Quds said Israeli forces dismantled the mourning tent that had been set up in memory of Qunbar and closed off the main entrance to the Jerusalem neighborhood of Jabal al-Mukabber. Al-Ayyam said Israeli forces imposed punitive measures on Palestinians in Jabal al-Mukabber. It reported Qunbar’s relatives as affirming neither he was affiliated to or made contacts with the so-called “Islamic State” group. It added one Israeli minister advocated the expulsion of al-Qunbar family members to Syria as a punishment to the entire family. Al-Quds and al-Hayat al-Jadida said Muhammad Abu Shahin was sentenced to two life sentences and fined about $900,000 for killing an Israeli and wounding another near Dolev settlement in June 2015. Highlighting the international Middle East peace conference in Paris, al-Quds reported the countries that would attend the conference on Sunday would affirm the two-state solution and slam Israeli settlement construction across the West Bank. It also reported they would affirm the illegality of any unilateral changes to the pre-1967 borders, including Jerusalem. Referring to a Haaretz report, al-Ayyam said the final draft of the conference statement would urge Abbas and Israeli Prime Minister Benjamin Netanyahu to disavow officials in their respective governments who oppose the two-state solution. Regionally, al-Quds and al-Ayyam said the body of former Greek Melkite Catholic archbishop, Hilarion Capucci, was laid to his rest in Lebanon. Highlighting settlement construction plans, the dailies said the Israeli municipality of West Jerusalem mulls approval of the construction of 390 new housing units for settlers on land belonging to the East Jerusalem neighborhood of Shufat. Al-Ayyam said Israeli forces delivered demolition orders for Palestinian residential structures to the south of Hebron and leveled Palestinian lands in Salfit. Besides, al-Ayyam said Palestinians in the Gaza Strip protested the worsening electricity crisis and power blackouts in the besieged enclave. 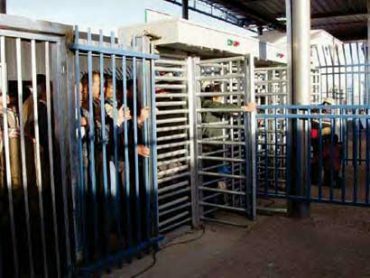 It added the Hamas security forces detained many Palestinians from al-Bureij camp in the wake of the protests. Al-Hayat al-Jadida said UNRWA Commissioner-General Pierre Kraehenbuehl urged Trump to revive the Middle East peace process. Posted on 10/01/2017 at 10:12 am. QALQILYA, January 10, 2017 (WAFA) – Israeli soldiers assaulted on Tuesday an 80-year-old elderly Palestinian woman during a raid of the village of Kufr Qaddoum, east of Qalqilya in the occupied West Bank, according to local sources. The woman was identified as Shafiqa Joumaa, who was later hospitalized. Israeli forces raided Joumaa’s house and assaulted her, according to Murad Shtawie, a local activist, who said that soldiers raided the village and broke into several homes, one of which belong to the head of the village council, Hamza Joumaa. Posted on 10/01/2017 at 10:11 am. TUBAS, January 10, 2017 (WAFA) – Israeli forces shot and killed on Tuesday a Palestinian during wide-scale raid of Fara’a refugee camp, south of Tubas, local and medical sources told WAFA. Soldiers opened fire at Mohammad Salhi, 32, after raiding his home alleging he attempted to stab them. Witnesses, however, said that Salhi tried to defend himself and his sick mother when Israeli soldiers broke into his home in a violent way. The soldiers had raided Salhi’s home to get to another one next door, they said, and not to arrest anyone from his household. Khalid Mansour, a local activist, said an Israeli officer used his own pistol to fire six bullets at Salhi, who was left to bleed to death before being taken to the Turkish hospital in Tubas. Salhi was already dead when the ambulance arrived at the scene, said the medical sources. Salhi, who lives with his sick mother in Fara’a camp, was a former prisoner who was sentenced to three years in Israeli jails for resisting the occupation. He used to sell corn to make a living and was the only provider to his family after the death of his father. Israeli forces detained four people from the camp, said the sources. The Ramallah-based al-Quds Center for the Study of Israeli and Palestinian Affairs said Israeli forces shot and killed 274 Palestinians since October 2015, most of them in alleged attacks. The rest were killed in confrontations with soldiers in the West Bank and Gaza Strip or related incidents. Posted on 09/01/2017 at 9:46 am. RAMALLAH, January 9, 2017 (WAFA) – The deadly attack when a Palestinian-driven truck rammed into Israeli pedestrians at a bus stop in the illegal Israeli settlement of East Talpiyyot in Jerusalem hit the front page headlines in Palestinian local dailies. The dailies said a Palestinian-driven truck ploughed into a group of uniformed Israeli soldiers, killing four soldiers and injuring 15 others on a street at the Armon Hanatziv promenade overlooking Jerusalem’s Old City. They added the Palestinian truck driver, identified as Fadi al-Qunbar, 28, from the Jerusalem neighborhood of Jabal al-Mukabbir, was shot dead by Israeli forces. Highlighting Israeli reprisals, the dailies said Israeli cabinet decided to demolish the attacker’s family home and withhold his body. Al-Hayat al-Jadida added the Israeli cabinet also decided to blockade the Jerusalem neighborhood of Jabal al-Mukabbir and detain (search out) any Palestinian who has expressed support or admiration of the attack. Al-Ayyam and al-Hayat al-Jadida said Israeli officials assailed Palestinian Authority and held it responsible for the attack. Furthermore, the dailies said Israeli settlers hurled stones at Palestinian vehicles traveling between Nablus and Qalqiliya in the northern West Bank, causing damages to the vehicles and wounds and bruises to passengers. 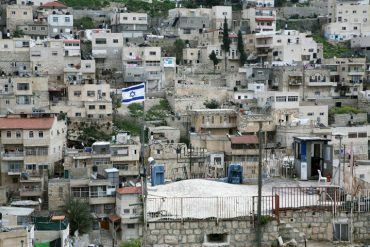 The dailies said Israeli settlement group Elad took over a Palestinian home in the East Jerusalem neighborhood of Silwan. Al-Quds explained the home is located on al-Ein Street in Silwan. The dailies said Israeli forces delivered stop-construction notices for 11 Palestinian homes to the east of Bethlehem. Al-Quds added Israeli forces also delivered such notices to three Palestinian homes in the Salfit district village of Bruqin. The dailies said Israeli Prime Minister Benjamin Netanyahu, already under police investigation for suspected corruption, was caught on tape negotiating mutual benefits with Yedioth Ahronoth daily owner Moni Mozes. Regarding plans to relocate Israeli settlers evacuated from Amona settlement outpost, al-Quds said there is a legal problem that prevents the relocation of Amona settlers to the nearby parcel of land, known as 38. It is worth noting that Palestinians from the Ramallah area town of Silwad have filed an appeal, claiming ownership of the land allocated for the settlers. Al-Quds and al-Ayyam said Israeli embassy official Shai Masot was filmed discussing how to “take down” UK Deputy Foreign Minister Sir Alan Duncan. Al-Ayyam reported that Secretary-General of PLO Executive Committee Saeb Erkat would ask Russian Foreign Minister Sergy Lavrov to work with the Palestinians in order to implement UNSC resolution 2334 and convene the multilateral peace conference in Paris. Reacting to the Jerusalem deadly attack, Erekat was reported in al-Hayat al-Jadida as stating draining the swamp of Israeli occupation is the key to regional stability and security. Posted on 09/01/2017 at 8:47 am. JERUSALEM, January 8, 2017 (WAFA) – A group of Israeli settlers seized on Sunday a Palestinian-owned building in the Jerusalem neighborhood of Silwan, south of al-Aqsa Mosque compound, according to local sources. The settlers, who belong to Elad, an extremist settler organization, were accompanied by police forces to seize the building that belongs to Hani Sarhan, a Palestinian from East Jerusalem who was in Jordan when his house was seized. Posted on 09/01/2017 at 8:43 am. RAMALLAH, January 8, 2017 (WAFA) – Hanna Issa, member of Fatah revolutionary council Sunday said moving the US embassy from Tel Aviv to Jerusalem will ignite a religious war in the region. In an interview with Mawtni radio station, Issa said Palestinians can’t predict the reaction to moving the US embassy to Jerusalem. This comes after US President-elect Donald Trump repeatedly stated his intention to move the embassy from Tel Aviv to Jerusalem, the focus of Palestinian-Israeli tension and the eternal capital for both sides. The move is expected to inflame the situation as Palestinians insist that East Jerusalem would have to be the capital of a sovereign State of Palestine if any two-state solution is reached, while Jerusalem already serves as the government seat and Israel’s declared “undivided capital”. 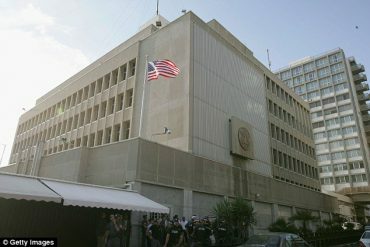 The US embassy has been located in Tel Aviv since the 1960s and to move it to Jerusalem would contradict a steady US policy regarding the final status of Jerusalem; which should be determined in peace talks. Issa, along with many top Palestinian politicians, condemned Trump’s statement saying the move will have unexpected outcome and impact on the situation. Palestine Liberation Organization Secretary General Saeb Erekat said moving the embassy to Jerusalem will end the peace process. Posted on 09/01/2017 at 8:37 am. During her meeting with the French Consul General Pierre Cochard at the PLO Headquarters in Ramallah, Ashrawi focused on the French Initiative to host the International Peace Conference in Paris on January 15 and the concerted efforts required to ensure its success. Ashrawi said for the Conference to succeed, it must be based on international law, international humanitarian law and UN resolutions, in particular UNSC Resolution 2334. “The Conference must also set up comprehensive mechanisms to end the military occupation and to ensure the establishment of a viable and sovereign Palestinian state on the 1967 borders with East Jerusalem as its capital,” she explained. Ashrawi also stressed the importance to resolve all permanent status issues in accordance with international law and conventions, including UNGA Resolution 194. She called for the creation of a follow-up committee with the responsibilities of monitoring and evaluation of implementation, as well as the authority to exercise arbitration and accountability. Posted on 09/01/2017 at 8:33 am. BETHLEHEM, January 8, 2017 (WAFA) – Israeli authorities on Sunday ordered a halt on the construction of about 11 Palestinian-owned homes in Wadi Abul-Hummus area, east of Bethlehem, according to local sources. Hassan Burajiya, of the Anti-Settlement Committee in Bethlehem, told WAFA that Israeli forces notified Palestinians to stop the construction of the 11 homes, despite the fact they are being constructed in Area A of the West Bank, under complete Palestinian civil and security control. He said Israeli forces claimed that the stop-construction orders came because the 11 homes lack Israeli construction permits, and said their owners have obtained construction permits from the Palestinian side since they are being constructed within Area A. Posted on 04/01/2017 at 1:10 pm. RAMALLAH, January 4, 2017 (WAFA) – the Ministry of Foreign Affairs described on Wednesday an Israeli court’s conviction of an Israeli soldier who killed Abdul-Fattah al-Sharif on March 24 as a mock trial. In a press release, the ministry said that the Israeli trial came only to “absorb” international condemnation of the deadly incident which took place in Hebron and in which Israeli soldier Elor Azaria shot and killed al-Sharif as he laid wounded on the ground. The ministry also described the trial as a “farce” which aims to evade international accountability or further action by international courts. It said most Israeli top state officials, including Prime Minister Benjamin Netanyahu and his defense minister, and other Israeli nongovernmental organizations have raised funds in favor of a campaign that calls for Azaria’s acquittal. Posted on 04/01/2017 at 1:09 pm. TEL AVIV, January 4, 2017 (WAFA) – A military court in Tel Aviv Wednesday convicted an Israeli soldier, who shot and killed in cold blood a wounded Palestinian in Hebron, of manslaughter. The court said Elor Azaria, who shot dead Abdul Fattah al-Sharif on March 24 while lying on the ground after he was shot and injured by Israeli forces following an alleged stabbing attack, did so in revenge rather than because the wounded Palestinian had posed a threat, as claimed by the killer soldier. Many Israeli right wing activists, including lawmakers, and supporters of the killer soldier demonstrated outside the court hoping to pressure it against convicting him. The sentence will be announced within a month. Posted on 04/01/2017 at 10:55 am. RAMALLAH, January 4, 2017 (WAFA) – A 39-year-old woman from Hebron identified as Bayan Aqel, and her daughter, Fatima, were among 31 Palestinians the Israeli forces detained during overnight wide-scale raids in the occupied West Bank and East Jerusalem, the Palestinian Prisoner’s Society (PPS) said on Wednesday. It said that 12 Palestinians from the district of Hebron were detained, including the Aqel mother and daughter, and two brothers of Dia Talahmeh, who was killed by Israeli forces. In Jenin in the north of the West Bank, forces detained five people, while four others were detained from Tulkarem, two from Bethlehem and three from Ramallah, including an 18-year-old. Israeli police also detained five people from Jerusalem, including Obeida Atrash, mother of Mutasem Atrash who is serving a 10-month sentence in Israeli jail. Posted on 04/01/2017 at 10:40 am. JERUSALEM, January 4, 2017 (WAFA) – The Israeli District Court in Jerusalem Wednesday sentenced Marah Bakir, 17, to eight years in prison and a fine of $2500 for allegedly attempting to stab an Israeli. Bakir, from Beit Hanina neighborhood of East Jerusalem, was shot and seriously wounded by Israeli security in October 2015 after she allegedly attempted to stab Israelis in Jerusalem. Witnesses have denied the Israeli stabbing allegations and said that Jewish settlers had harassed and mocked Palestinian schoolgirls leaving Abdullah Bin al-Hussein secondary school in Sheikh Jarrah neighborhood in the city. One of the settlers, said the witnesses, started to shout claiming that Bakir had attempted to stab him at a bus stop when Israeli forces opened fire and seriously injuring her. Posted on 04/01/2017 at 10:38 am. RAMALLAH, January 4, 2016 (WAFA) –Statements by Israeli Prime Minister Benjamin Netanyahu describing the upcoming Paris international peace conference as “futile” are unhelpful for peace, presidential spokesman Nabil Abu Rudeineh said late Tuesday. “Such remarks do not contribute to promoting the proper environment for a just and true peace on the grounds accepted unanimously by the entire international community,” he said in a statement. The Paris conference, scheduled for January 15, “is an opportunity to achieve the just peace,” he said, adding that Netanyahu’s remarks defy United Nations and its Security Council resolutions. “Israel’s policies and statements by Israeli cabinet ministers opposed to the two-state solution and which openly bolster the illegitimate settlement construction, will only lead to more tension and instability,” said the spokesman for President Mahmoud Abbas. Posted on 04/01/2017 at 10:30 am. RAMALLAH, January 4, 2017 (WAFA) – The demolition of Palestinian structures in Khirbet Tana in the northeastern Jordan Valley hit the front page headlines in Palestinian local dailies on Wednesday. Al-Quds said Israeli forces demolished 17 structures in Khirbet Tana, while al-Ayyam and al-Hayat al-Jadida said 15 structures were demolished. Highlighting stop-construction notices in their main front page news items, al-Quds and al-Ayyam said Israeli forces ordered Palestinians to stop building wells in al-Khader, west of Bethlehem. Al-Hayat al-Jadida added stop-construction orders were also delivered to Palestinian homes and structures in Salfit. 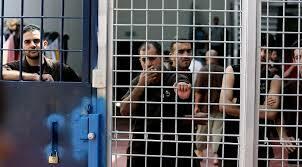 Highlighting detention raids, al-Ayyam said Israeli forces detained a total of 37 Palestinians in West Bank raids. Al-Hayat al-Jadida said a total of 34 Palestinians were detained. Highlighting illegal settlement construction, al-Ayyam and al-Hayat al-Jadida reported Israeli settlers built a new settlement outpost in the northern Jordan Valley. While al-Quds and al-Ayyam covered demolition and detention raids and settlement construction in their main items, al-Hayat al-Jadida opted to give prominence to President Mahmoud Abbas’ statements on peace-making. It reported him as stating Palestine is committed to securing peace based on relevant United Nations resolutions. Spotlighting efforts to confront dispossession of Palestinians from Jerusalem, al-Quds reported Palestinian attorney Muhannad Jbara has successfully reclaimed a significant portion of a Palestinian building in the East Jerusalem neighborhood of Sheikh Jarrah from the so-called Israeli Custodian of Absentee Property. Furthermore, the dailies spotlighted Israeli Prime Minister Benjamin Netanyahu’s concerns over the multilateral Middle East peace conference scheduled to convene in Paris on January 15. Responding to Netanyahu’s comments, Palestinian presidential spokesman Nabil Abu Rudeineh was reported in al-Quds and al-Hayat al-Jadida as stating that the conference would offer the opportunity for securing a just peace. Moreover, al-Ayyam highlighted a report released by Human Rights Watch (HRW) outlining instances when senior Israeli officials openly encouraged soldiers and police to kill Palestinians suspected of attacking Israelis even when they were no longer a threat. Al-Ayyam covered a Yesh Din report slamming the exceptionally low prosecution rate by Israeli military in the killings of Palestinians. It reported Yesh Din as stating the military opened 186 criminal investigations into suspected offenses against Palestinians in 2015 but just four of those investigations yielded indictments. Al-Quds and al-Hayat al-Jadida highlighted Palestinian cabinet’s statement on deep cuts to be made in 2017 budget as a result of a sharp drop in financial support to the Palestinian Authority. The cabinet was reported in both dailies as announcing that they are compelled to adopt an austerity policy as a result of this decline. It was also reported in al-Hayat al-Jadida that a budget deficit in 2017 is expected to exceed $1 billion and forecasted the total shortfall in foreign funding to be $765 million. Posted on 04/01/2017 at 9:29 am. 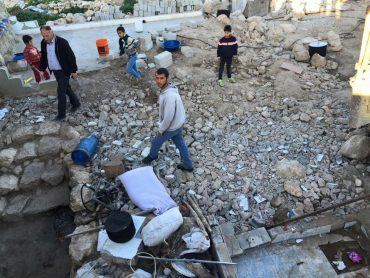 JERUSALEM, January 4, 2017 (WAFA) – Staff from the West Jerusalem Israeli municipality Wednesday demolished a Palestinian-owned house in al-Ashraqiya area of Beit Hanina, a neighborhood in occupied East Jerusalem, under the pretext it was built without a permit. Israeli police cordoned off the area as bulldozers proceeded to demolish the house. Palestinians rarely get building permit from the Israeli municipality forcing them to build without one. The municipality intends to demolish more Palestinian homes in East Jerusalem as its staff handed over on Tuesday demolition notices to 10 homes in Sour Baher, south of the city, also under the pretext they were built ‘without a permit. Posted on 03/01/2017 at 1:42 pm. RAMALLAH, January 3, 2017 (WAFA) – The Palestinian Ministry of Foreign Affairs said Tuesday that the continuous Israeli violation of international law puts United Nations credibility on the line. The ministry condemned the Israeli demolition of 11 structures in Khan al-Ahmar area, east of Jerusalem, leaving more than 200 people, most of them women and children, homeless. The demolished Bedouin dwellings were located in the heart of an area known as E1, where Israel plans to build a settlement, said the ministry. Posted on 03/01/2017 at 10:50 am. GAZA, January 3, 2017 (WAFA) – Israeli navy opened fire on Tuesday at Palestinian fishing boats sailing in the northern shores of the Gaza Strip, according to fishermen. They said the navy opened fire at their boats, which caused them to leave the area and return to shore in fear of getting shot. There were no reports of causalities or damage. Posted on 03/01/2017 at 10:47 am. RAMALLAH, January 3, 2017 (WAFA) – The Israeli demolition of 11 residential structures in the Bedouin community of Khan al-Ahmar east of Jerusalem hit the front page headlines in Palestinian dailies on Tuesday. 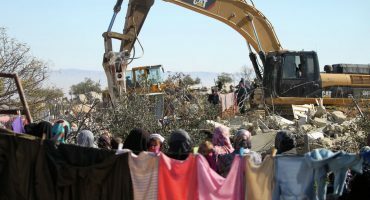 The dailies said the demolitions in the Bedouin community left a total of 87 Palestinians homeless, most of them children. Furthermore, the dailies also highlighted on their front page police questioning of Israeli Prime Minister Benjamin Netanyahu as part of a corruption probe. Highlighting West Bank raids, al-Quds said Israeli forces raided the Qalqiliya district village of Jayyous and the northern West Bank city of Jenin, triggering clashes with local Palestinians. Al-Hayat al-Jadida said Israeli forces detained 11 Palestinians, including five minors, in predawn raids across the West Bank. Al-Quds and al-Hayat a-Jadida added Israeli forces briefly detained five Palestinian employees of the Hebron Rehabilitation Committee while they were conducting rehabilitation work on a house in al-Shuhada Street in Hebron’s old city. Spotlighting the situation of Palestinian detainees in Israeli prisons, the dailies said Israel Prison Services (IPS) raided Nafha prison cells in the south of the country and assaulted Palestinian detainees, injuring three. Al-Hayat al-Jadida added the Israeli commander of the Nafha prison was injured during the clashes. Al-Quds and al-Ayyam said Israeli military ordered the settlement outpost of Amona to be relocated to neighboring Palestinian-owned plots of land. Al-Ayyam and al-Hayat al-Jadida reported Israel’s parliament, the Knesset, voted to bar Arab lawmaker Basel Ghattas from parliamentary activity for six months. Al-Ayyam reported Israeli Education Minister and leader of the far right pro-settlement Jewish Home party Naftali Bennett has plans to introduce legislation advocating Israeli annexation of the settlement of Ma’ale Adumim, east of Jerusalem, and West Bank Area C.
Al-Ayyam and al-Hayat al-Jadida said President Mahmoud Abbas called his Turkish counterpart to give condolences for those killed in the Istanbul nightclub shooting attack on the New Year. Al-Hayat al-Jadida said factions of the Palestine Liberation Organization have described calls by Hamas leader Mousa Abu Marzouk for a confederacy between the West Bank and Gaza as destruction of the national project. It also said Venezuela has expressed support for Palestine in international forums during 2017 declared by the Palestinians as the year to end the Israeli occupation. Posted on 02/01/2017 at 10:07 am. RAMALLAH, January 2, 2017 (WAFA) – Each of the three Palestinian Arabic dailies focused on a different subject on their Monday front page. The highlight in al-Hayat al-Jadida was the death of Greek Catholic Archbishop Hilarion Capucci in Rome at age 94. President Mahmoud Abbas and the Palestinian government as well as various factions and officials mourned Capucci, who was at one time imprisoned by Israel and sentenced to 12 years in jail for assisting the Palestinian resistance but was released into exile in Rome four years later. Capucci’s death was also reported in the other two dailies. The main front page story in al-Quds focused on the decisions of the Israeli inner cabinet regarding Hamas prisoners and corpses aimed at pressuring the Islamist movement that controls Gaza to hand over remains of two Israeli soldiers it reportedly has been holding since the 2014 Israeli war on Gaza. This subject was also reported in the other two dailies. The highlight in al-Ayyam was the New Year’s Istanbul nightclub massacre. The paper reported on the incident and said at the top corner that President Abbas had condemned the attack. It said a Palestinian woman from the town of al-Tira, inside Israel, was killed in the attack. This story was also reported in the other dailies. Other headlines on the front page of the dailies highlighted calls by the Israeli right wing parties to annex Area C of the occupied West Bank, which makes more than 60 per cent of its area and falls under total Israeli military control, as reported in al-Ayyam. Al-Hayat al-Jadida and al-Quds said a new Jewish settlement outpost was set up near Nablus in the West Bank. Al-Quds introduced on its front page an interview with Prime Minister Rami Hamdallah in which he said that the Palestinian government is working with other organization s to take Israel to the International Criminal Court for its settlement activities in the occupied territories. The full, page-long interview was published on page 11 of the newspaper in which Hamdallah discussed all issues of relevance and interest to the Palestinians, whether they were political or internal affecting daily life. The headline for the interview on the inside page talked about rejection of the confederation between Gaza and the West Bank proposed by Hamas leader Mousa Abu Marzouk, which had upset many Palestinians, and that local elections, proposed for last year but postponed by a court order, will be held in stages. It quoted whom the paper described as “informed sources” as saying that Hamas security forces arrested a large number of the Jihadists, including leaders, and forced many to go into hiding. No specific figures were given but it said they were in the dozens and the campaign was still ongoing to arrest those who went into hiding. The paper also said the chairman of the Palestinian National Council Salim Zanoun has called for a two-day meeting in Beirut on January 10 for the preparatory committee to set the stage for convening the next conference for the parliament of the Palestine Liberation Organization. Posted on 02/01/2017 at 9:29 am. RAMALLAH, December 31, 2016 (WAFA) – The Palestinians mark on Sunday 52 years since the launch of the revolution against the Israeli occupation and the first military operation. 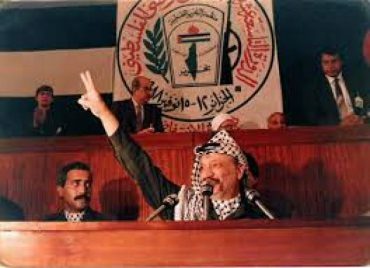 Fatah, which has launched the first military operation on January 1, 1965, will mark this anniversary with the lighting Saturday evening of a torch near the Ramallah grave of Yasser Arafat, who launched the first attack. Posted on 02/01/2017 at 9:23 am. RAMALLAH, January 2, 2017 (WAFA) – The Palestinian Military Coordination Office succeeded Monday in reopening the road between Marah Rabah and Beit Fajjar to the south of Bethlehem, which was blocked by the Israeli authorities two weeks ago. Israel claimed the road was closed for military reasons. However, an intervention by the Military Coordination Office succeeded in convincing the Israelis to remove the dirt that blocked the road, considered vital to the two villages and surrounding areas. Israel regularly closes main roads in the West Bank as a collective punitive measure if stones are thrown at Israeli vehicles travelling on in the area. Posted on 02/01/2017 at 9:21 am. NEW YORK, January 1, 2017 (WAFA) – Anti-Israel US-based Jewish organization Neturei Karta hailed, in a statement Sunday, the United Nations Security Council resolution 2334 which condemned Israeli settlements and called for an end to settlement activity. The organization congratulated the countries in the Security Council for taking what it described as “long-overdue step toward justice and peace”. It also congratulated President Mahmoud Abbas on his success in achieving the passage of this resolution. “Therefore the concept of the State of Israel is entirely illegitimate and forbidden. The crime is compounded when the creation of this homeland entails the occupation, oppression, subjugation and expulsion of another people,” the statement emphasized. Posted on 22/11/2016 at 10:44 am. RAMALLAH, November 22, 2016 (WAFA) – Israeli soldiers on Tuesday opened fire at a Palestinian man at Qalqndiya checkpoint, at Ramallah-Jerusalem road, killing him on the spot, according to the Ministry of Health. Israeli army claimed that the man, who was not yet identified, had attempted to stab soldiers manning the checkpoint, before they shot him dead. The army denied access of medical teams to the scene to provide him with first aid before he was announced dead. Posted on 22/11/2016 at 10:40 am. Posted on 22/11/2016 at 10:36 am. RAMALLAH, November 22, 2016 (WAFA) – The sentencing of two Palestinians by an Israeli court to imprisonment for carrying out stabbing attacks hit the front page headlines in Palestinian dailies. The three dailies said an Israeli court sentenced Subhi Abu Khalifa, 19, who comes from Shufat refugee camp in Jerusalem, to 18 years of imprisonment and fined him 150,000 shekels (about $40,000) for carrying out a stabbing attack that left two Israelis injured in Jerusalem in October 2015. Al-Ayyam and al-Hayat al-Jadida added thay an Israeli military court sentenced Mayson Mousa, 22, who comes from Bethlehem, for 15 years in prison for carrying out a stabbing attack at a major checkpoint between Bethlehem and Jerusalem on June 29. While the imprisonment sentences was the common news item in the dailies, al-Quds opted to highlight the shooting of a Palestinian in its main front page news item. It said Israeli forces shot and injured a Palestinian worker in the Wadi Abu al-Hummus area, east of Bethlehem. The man, identified as Mahmoud Salah, 31, was shot and injured for attempting to cross from Bethlehem into Jerusalem for work. It added Israeli forces seized five containers loaded with machinery and goods during a raid into al-Manshiya area, east of Bethlehem, in the southern West Bank. The containers reportedly belonged to Naim Salahat. They had car parts, machines and other goods. Al-Quds highlighted the isolation of two Palestinian villages by the construction of Israel’s apartheid wall. It said a total of 550 Palestinians in the Qalqiliya district villages of al-Ramadin and Abu Farda are only allowed to have access into and out of their villages through a so-called “security gate”. Spotlighting widespread condemnation of the Israeli bill that would ban the Muslim call to prayer (adhan) from playing over loudspeakers, al-Quds reported member of Knesset Ahmad Tibi as pledging ongoing struggle against the bill. He was also reported as stating that the resumption of Israeli-Palestinian talks under the current situation is “absurd and futile”. Highlighting expansion of land grab in Hebron’s Old City, al-Quds said Israel has seized and started construction works at the playground of the Ibrahimi School. Furthermore, al-Quds and al-Ayyam said hundreds of UNRWA employees went on a general strike in the organization’s main offices in Gaza city and the West Bank, protesting UNRWA administration’s failure to meet their demands regarding wages and unfilled job vacancies. Referring to a report issued by the Applied Research Institute of Jerusalem (ARIJ), al-Quds said 49% of the area occupied by West Bank Israeli settlements is privately-owned Palestinian lands. Posted on 22/11/2016 at 9:41 am. NEW YORK, November 22, 2016 (WAFA) – The Social, Humanitarian and Cultural Committee (Third Committee) of the United Nations overwhelmingly voted on Monday in favor of the right of the Palestinian people for self-determination. 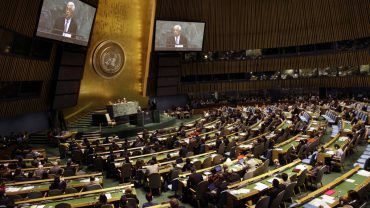 The vote saw 170 countries voting in favor, while seven countries voted against, including Canada, the United, States, Israel, Marshall Islands, Micronesia, Nauru, and Palau. Five other countries abstained from voting. The UN vote reinstates the right of the Palestinian people for self-determination, including their right for having an independent State of Palestine. The vote also urges all countries, the United Nations organizations and other competent authorities to continue to support the Palestinian people in their struggle for independence. Posted on 22/11/2016 at 7:53 am. 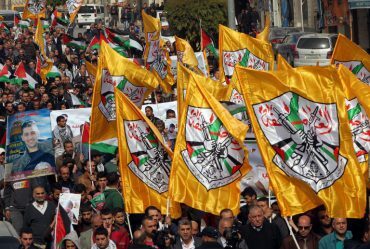 RAMALLAH, November 21, 2016 (WAFA) – Fatah is ready to convene its seventh congress scheduled for November 29, Mahmoud Abu al-Haija, designated spokesman for the conference, said on Monday. Speaking to Voice of Palestine, Abu al-Haija said all administrative and technical preparations for the conference have been completed. He said the movement, headed by Palestinian President Mahmoud Abbas, has invited all Palestinian factions, including Hamas and the Islamic Jihad, to attend its opening session. He said any member of Fatah may run for any of the top posts in the movement’s hierarchy, but that will be done only on the first day of the conference, which will convene in Ramallah. Posted on 17/11/2016 at 10:14 am. TUBAS, November 16, 2016 (WAFA) – Israeli forces ordered 16 families in Hamsa al-Fawqa area in the occupied West Bank district of Tubas, in the Jordan Valley, to evacuate their homes on Thursday to make way for Israeli military exercises in the area, local activist Mutaz Bsharat said on Wednesday. He said Israeli forces told the 16 families, which make up 85 individuals, that they need to leave their homes from 6:00 in the morning until midday, the time the army is planning to do its exercise. Palestinian residents of the Jordan Valley regularly face evacuation to Israeli military exercises on or near their land. They say Israel is trying to push them out of their land to eventually take it over to build Jewish settlements. Meanwhile, Aref Daraghme, former Jordan Valley area mayor, said Israel told Palestinians in al-Farisiya area to stop work on a 200 cubic meter mineral water pool, funded by the European Union, until November 24. The pool was expected to benefit 42 families in the Jordan Valley. Many Palestinians in the Jordan Valley see military exercises in firing zones as well as repeated house demolitions as an Israeli strategy to empty the land of Palestinians and confiscate it for further settlement expansion and agricultural production. Posted on 17/11/2016 at 10:12 am. 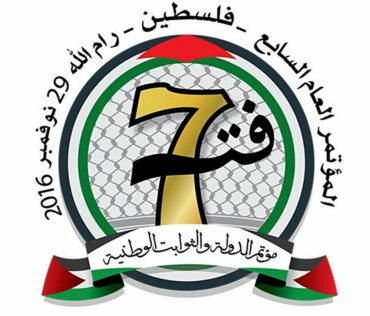 RAMALLAH, November 17, 2016 (WAFA) – Palestinian Arabic dailies focused in their Thursday issue on the preliminary approval by the Israeli parliament, Knesset, of a bill to retroactively legalize illegal settlements in the West Bank. Al-Quds and al-Ayyam said a bill to retroactively legalize illegal settlements passed its first Knesset reading on Wednesday afternoon with the support of the Kulanu Knesset faction of Finance Minister Moshe Kahlon. Al-Hayat al-Jadida said while Spain and the United Kingdom warned about the bill to legalize illegal settlements, while the United States expressed its “concern” over the bill. Al-Quds said Spain was extremely concerned about the bill. Al-Hayat al-Jadida and al-Al-Ayyam said the Israeli municipality of West Jerusalem asked the Supreme Court of Israel to approve the demolition of 14 Palestinian-owned homes in the Jerusalem neighborhood of Beit Hanina, in response to the court’s decision to evacuate the settlement outpost Amona, northeast of Ramallah. Al-Quds said the Jewish organization Ateret Cohanim has submitted a lawsuit asking for the eviction of nine Palestinian families from their homes in Jerusalem neighborhood of Silwan. Al-Quds and al-Ayyam said a woman was killed and three security personnel injured in an exchange of fire between Palestinian security forces and “outlaws” in Nablus city, north of the West Bank, on Wednesday. Posted on 16/11/2016 at 10:00 am. RAMALLAH, November 16, 2016 (WAFA) – The spate of demolitions of Palestinian structures by Israeli bulldozers in Jerusalem and the West Bank hit the front page headlines in Palestinian dailies on Wednesday. Al-Quds said Israeli forces demolished a mosque under construction and other structures in the East Jerusalem neighborhoods of Sur Baher. Silwan and Jabal al-Mukabbir as well as a community center in the southern Hebron district village of Umm al-Kheir. Al-Ayyam also said Israeli troops detained seven Palestinians during overnight raids that sparked clashes in Askar refugee camp in Nablus. Furthermore, Israel’s move to approve the bill which s the Muslim call to prayer also hit the front page headlines in the dailies. Al-Quds reported that Ahmad Tibi, an Arab member of the Israeli parliament, the Knesset, as stating that he has managed to suspend discussion of the bill at the Knesset for a while. He was also reported as stating that orthodox Jewish political parties blocked the bill because they feared it would impact the Jewish use of sirens to announce the commencement of the Sabbath on Friday evening. Al-Ayyam and al-Hayat al-Jadida said the vote on the bill in the Knesset was postponed. Highlighting official reactions to the bill, the dailies reported Jordan as stating any Israeli decisions on Muslim call in Jerusalem’s Al-Aqsa Mosque is null and void. Furthermore, the dailies spotlighted Israel’s vote on the so-called “Formalization Bill” that wouldretroactively legalize settlement outposts across the West Bank. Al-Quds said the Knesset would vote Wednesday on a bill that would retroactively legalize settlement outposts on “private Palestinian lands” across the West Bank. Highlighting international reactions to the bill, the dailies said Egypt slammed Israel’s move to approve the bill. Al-Ayyam and al-Hayat al-Jadida added France and the US also slammed the draft legislation. Al-Ayyam reported settlement watchdog, Peace Now, as warning the Formalization Bill would provide a cover for the legalization of hundreds of settlement outposts that were established on privately-owned Palestinian land across the West Bank. Al-Quds reported Hamas official Mahmoud Zahhar as stating a Hamas delegation is scheduled to arrive in Cairo immediately following the Islamic Jihad’s delegation visit. Al-Ayyam said Israel appointed a new ambassador to Turkey who would assume the post that has been empty since 2010. It said the Palestinian people commemorated the 28th anniversary of the Palestinian Declaration of Independence. Posted on 15/11/2016 at 1:28 pm. 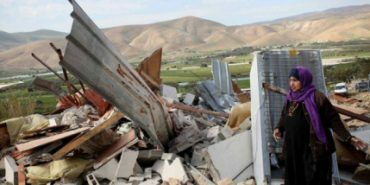 HEBRON, November 15, 2016 (WAFA) – Israeli forces on Wednesday demolished a residential structure and a community center in the village of Um al-Kheir, south of Hebron in the West Bank, according to local sources. 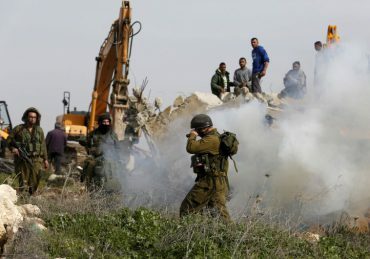 WAFA correspondent said an Israeli army force accompanied by staff from the Israeli Civil Administration broke into the village, where they demolished a community center and a tinplate-made house, under the pretext of construction without a permit. The center was used by the village’s residents for educational and social purposes. It was demolished first in August this year by local villagers, before it was demolished again this time. Meanwhile, the Israeli army notified Palestinians in the town of Beit Ummar, north of Hebron, to stop the construction of two homes in the town, also under the pretext of lacking an Israeli construction permit. Nearly all Palestinian applications for building permits in Area C – the 60 percent of the West Bank under full Israeli military control – are denied by the Israeli authorities, forcing communities to build illegally. Posted on 15/11/2016 at 11:43 am. JERUSALEM, November 15, 2016 (WAFA) – Israeli municipality of West Jerusalem demolished on Tuesday a commercial store in Jabal al-Mukabir neighborhood in Jerusalem, in addition to an animal barn and agricultural room in Silwan neighborhood, according to local sources. Israeli police accompanied by staff from the Israeli municipality of West Jerusalem, where they demolished a commercial store belonging to a local Palestinian, under the pretext of construction without permission. The authorities also demolished a stable and an agricultural room in a-Thawri neighborhood in Jerusalem, also for being constructed without an Israeli permit. Owner of the structures, Alaa Shweiki, said the demolition came despite he has paid some $10,000 in fines to the Israeli municipality for the unpermitted demolition. To be noted, Israel rarely grants Palestinians permits to build in the West Bank, including East Jerusalem, although the estimated 550,000 Jewish Israeli settlers are more easily given building permits and allowed to expand their homes and properties. Posted on 15/11/2016 at 10:24 am. RAMALLAH, November 15, 2016 (WAFA) – Secretary General of the Palestine Liberation Organization (PLO), Saed Erekat, said on Tuesday the international community has failed in its responsibility for correcting the historical and continuing injustice of the Israeli occupation of Palestine. On the 28th occasion of the declaration of independence of the State of Palestine, Erekat said the failure of the international community to achieve justice is reflected by its attempts to equalize the responsibilities of the occupier and the occupied. “This historic moment also marked the painful concession of recognizing Israel over 78% of historic Palestine. Israel met our historic compromise with more oppression and dispossession,” he remarked. Erekat called once again upon the international community to end all relations with Israel’s settlement enterprise, including by banning all settlement products, divesting from companies profiting directly or indirectly from the Israeli occupation, and sanction the denial of our inalienable right to self-determination. Posted on 15/11/2016 at 10:13 am. “Such bills are in direct violation of international law and conventions that prohibit racism and territorial expansion as the result of war and violence,” she said in a statement. “Israel’s escalation of its illegal settlement enterprise and the continued theft of Palestinian land and resources, as well as its flagrant violations of Palestinian rights and freedoms, are the essence of its dangerous and destructive policies,” she said.